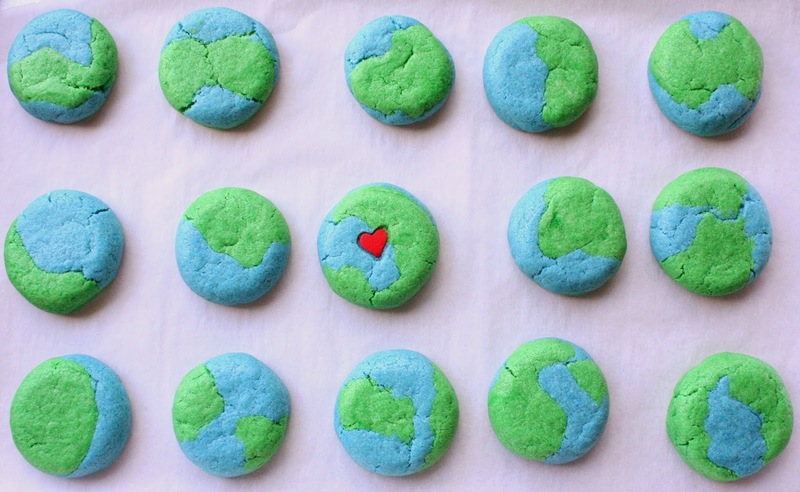 I know it's already Earth Day today, but these cookies are so simple to make, you still have time, especially if you're like me and have spare sugar cookie dough in the refrigerator. If not, you can whip up your own in no time, or always purchase some ready-made dough. I had a little over a pound of cookie dough and used my food scale to divide it in half. 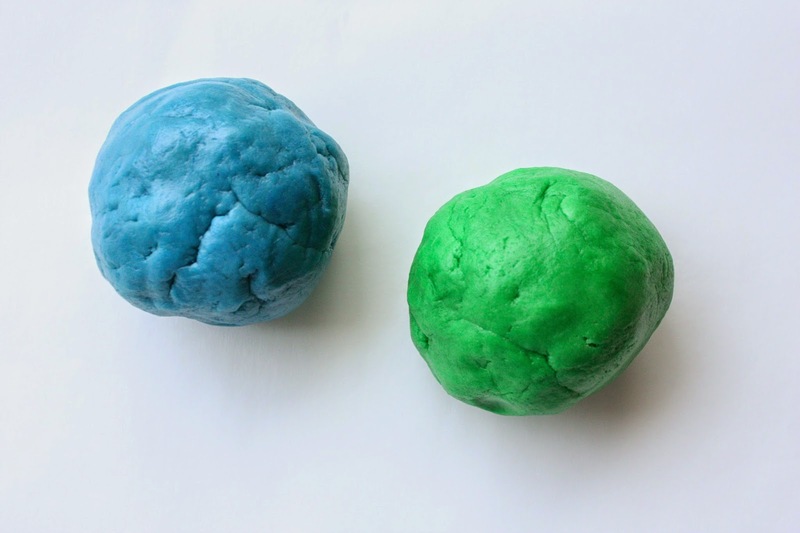 I added blue gel food coloring to half, and green to the other, then blended it well with my hands. 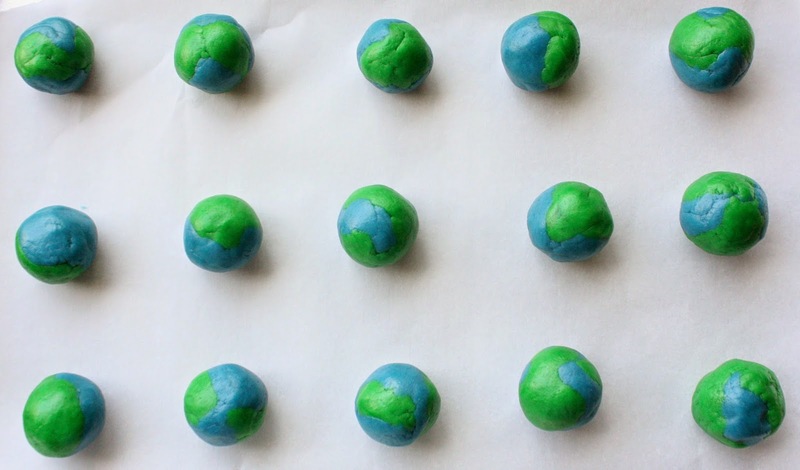 I took a bit of dough from each color and rolled them together into a ball (about 1-inch), then placed them on the cookie sheet. I baked them at 350 degrees for about 17 minutes. After taking them from the oven I immediately flattened them with a fondant smoother tool. If you don't have one, you can use the bottom of a glass, or a solid spatula. Very cute Sue. Love them for Earth Day. These are really, really cool. Thanks for stopping by and commenting, Jill! how the heck can you take something so simple and make it so dag gone CUTE all the time?! oh your stuff just makes me do this---> :) :) :) :) :) :) :) :) x1,000,000! Your comments are always a treat, Lisa! I always love these! The colors really do look like you are looking down on the earth! The one with the heart is just adorable! Thanks so much for your comment, Beth! 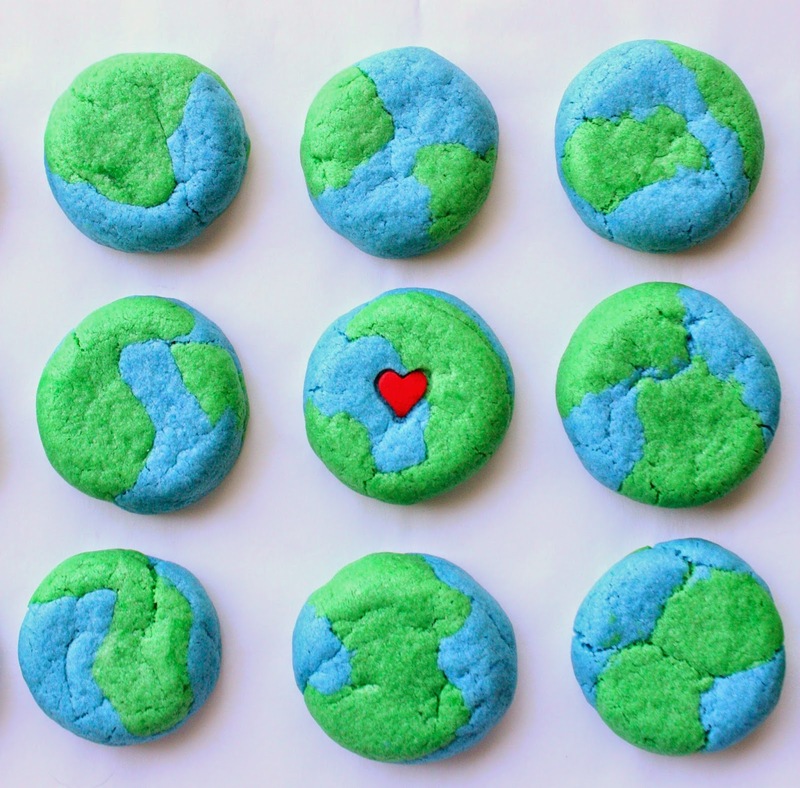 What a GREAT cookie recipe to celebrate Earth Day! Thanks for sharing, Sue. Ooooohhhh!!!! I love these cookies, Sue! They are really beautiful. They look so beautiful the cookies and very simple recipes I love quick recipes. So simple yet very effective! I love the little red heart on the cookie, so cute! My cookies did not spread, and the colors became dull, and not the vibrant blue and green of your photos. Any suggestions to resolve these two issues? I followed instructions to the letter. Sorry for your troubles! Perhaps you could flatten your cookies before you bake them. Also, I used AmeriColor gel food coloring for the vibrant colors. Wilton paste food coloring would work well also, if you have a craft store nearby...like Michael's or Joann's. Hope this helps, Shannon!